Be a DC Comics Bombshell! 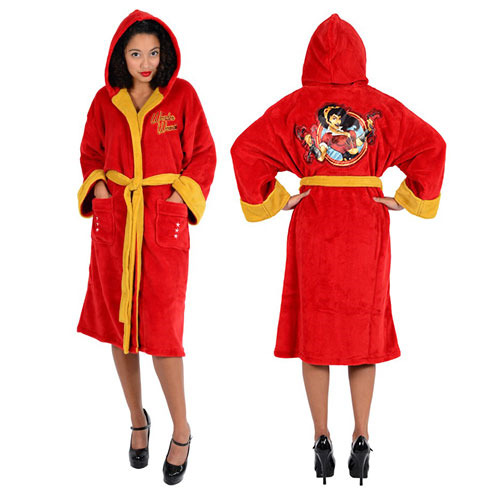 You'll feel beautifully powerful in this snazzy DC Comics Bombshells Wonder Woman Fleece Bath Robe. Made of 100% polyester fleece, it's hooded and includes two pockets plus awesome embroidered designs. The robe measures approximately 42 1/2-inches long, with 18-inch sleeves, 50-inch chest, and a waist up to 50 1/2-inches. One size fits most. Machine washable. Ages 13 and up.